Just before 7a.m. this morning, callers to 9-1-1 reported smoke and flames coming from a mobile home in the 1000 block of SW Wilsonville Road in Newberg. Newberg police officers were first on scene and confirmed that fire was actively burning and no one was inside. Firefighters from Station 20 arrived a moment later and began a quick fire attack. 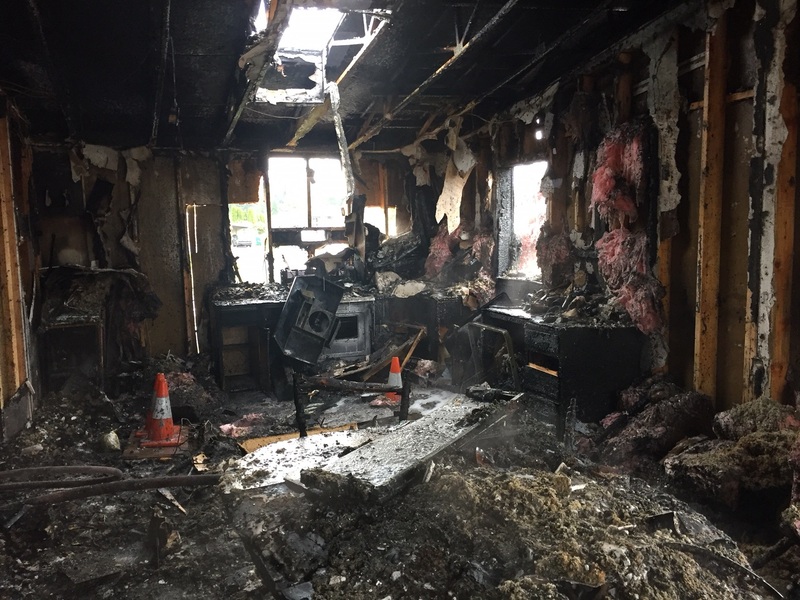 Though firefighters knocked the fire down within minutes and prevented it from spreading to other nearby structures, the affected home was a total loss. The homeowner was not home at the time of the fire, and has since been notified. Fire investigators determined the fire started in the kitchen, likely near the stove though they are still working to confirm the exact cause.